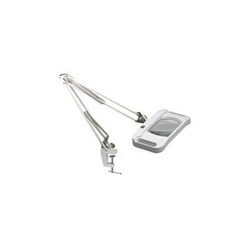 With our expertise in the domain of sourcing and supplying different kind of laboratory equipment and electronic devices, we are able to offer a superior quality range of Magnifying Glass Lamp. Manufactured with utmost precision using excellent clarity glass and other material, these are designed in conformation with set industry standards by our vendors. Further, the range is appreciated for its compact design, light weight, low power consumption and superior surface finishing. 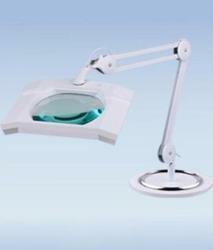 We are instrumental in offering an extensive array of Magnifying Lamps. The offered lamp is fabricated at our vendors end using finest quality material and advanced technology, under the supervision of skilled professionals. It is applicable for viewing botanical and zoological specimens in various research centers and institutions. 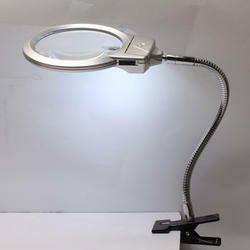 Floor Stand Type Rectangular Magnifier Lamp Steady base to prevent fall down Easy to use, power on/off switch Magnifier clearly illuminates and enlarges the area you are looking at Offers the user a flexible height for more convenient work, The lens head can rotate left and right with 360 degrees and flip up and down 180 degrees. 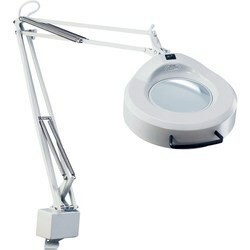 Our clients can avail from us precision engineered array of Rectangular Clamp Magnifying Glass Lamp. In order to give perfect magnification and clear visuals, these magnifying glasses are carefully manufactured using high grade material and advanced techniques by our vendors. Further, the range is carefully packed and timely delivered at client’s destination. 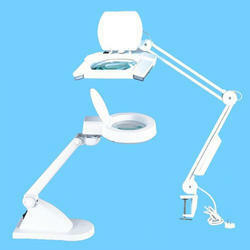 We have stored in an extensive array of electronics devices such as Bench Top Magnifying Glass Lamp. 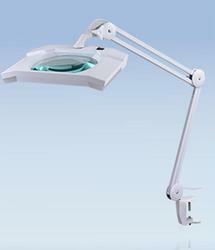 This device is equipped with magnifying lens and electronics circuit board for precise studies. Our electronics devices are widely applauded for the features like compact design, superior performance and light weight. 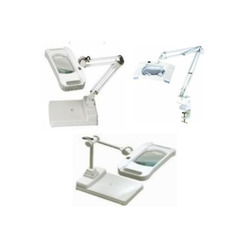 We offer our magnifiers in different size specifications in order to cater the varied demands of the customers. 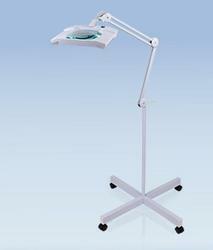 Our magnifiers are widely used to study the biological and physical samples. 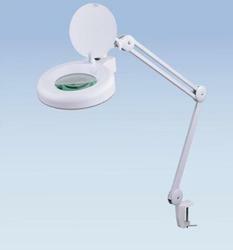 Our organization is engaged in trading and supplying a wide range of Electronics devices that include Round Desktop Magnifying Glass Lamp. Our magnifying glasses are offered in attractive designs and surface finishing in order to meet the diverse needs of the customers. We source our magnifying glasses and other gadgets from some renowned vendors of the industry. Some notable features of our magnifying glasses are light weight, low power consumption and attractive look. Our electronics devices are offered to the customers at industry leading prices. 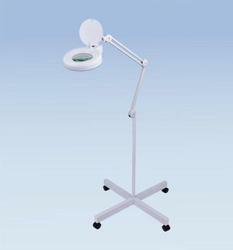 One of our premium products at offered is Illuminating Magnifying Glasses. 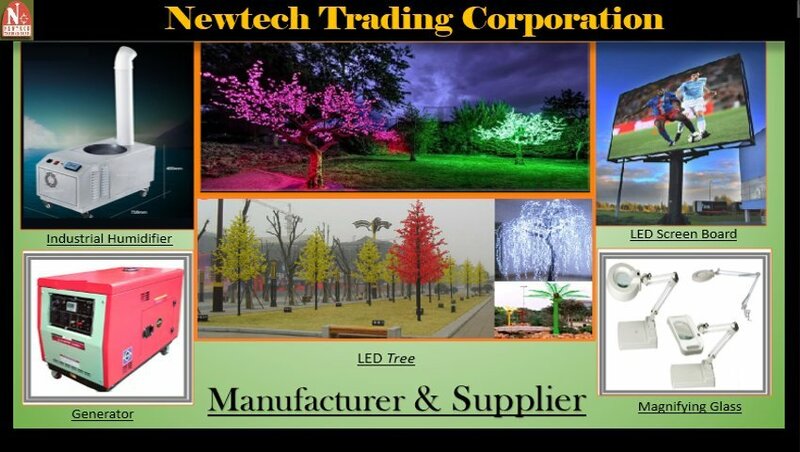 These products are highly sought after due to various factors such frequency lighting without frequent sparking, soft moderate natural illumination and newest design of ballast circuitry having no current noise. Moreover, these have high-frequency lighting without frequent sparking, no electromagnetic radiation and longer lamp tube life span.